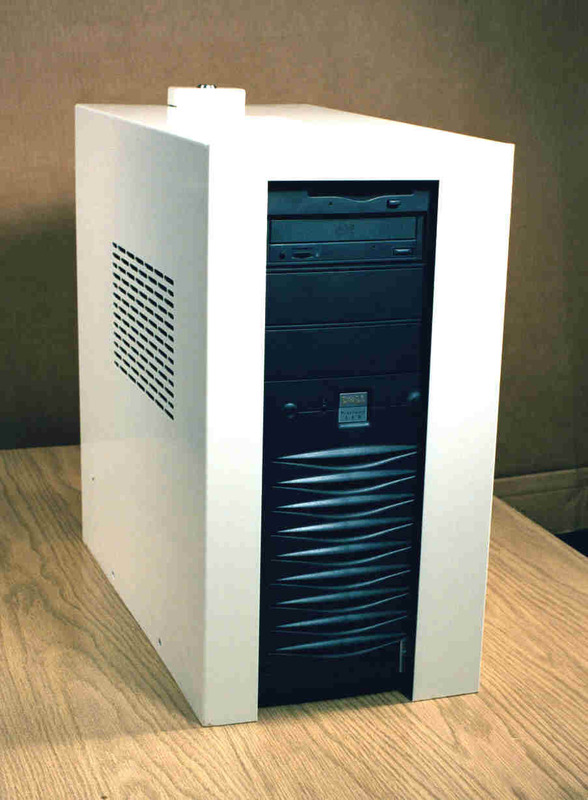 Protection against theft and vandalism by encasing the computer in a 14 gauge steel enclosure. Provides internal component security. Machine is accessible in front and back. Security devices maintain computer's appearance. Passed tests established by STR Testing Labs, an international testing company, using the highest specifications and standards for security products. 14 gauge steel upper plate bolted to 16 gauge base plate (either bolted or taped). Computer sits inside assembled plates. Both plates lock together with a drill-proof, hacksaw-proof, rodlock. Combines with a cable option or anchored CaseLok for securing monitors. Maximum computer security will fully welded edges. CaseLok is constructed of steel welded at all corners. A 14 gauge lock housing holds a drill-proof, hacksaw-proof rodlock that prevents the removal of the computer. Screws that attach the upper case to the base plate are hardened and cannot be drill out. Mounting bolts attach through the base plate into a 3/8"-thick steel bar installed beneath the workstation that cannot be removed without first unlocking the case and removing the computer. Adhesive tape mounting is also available providing a pry resistance greater than the strength of the plastic desk top attachment to the desk. The monitor is attached to the top of the CaseLok by screwing into feet glued to the monitor's bottom. In addition to computer security, CaseLok protects against vandalism. All operating points and plug in ports are accessible. 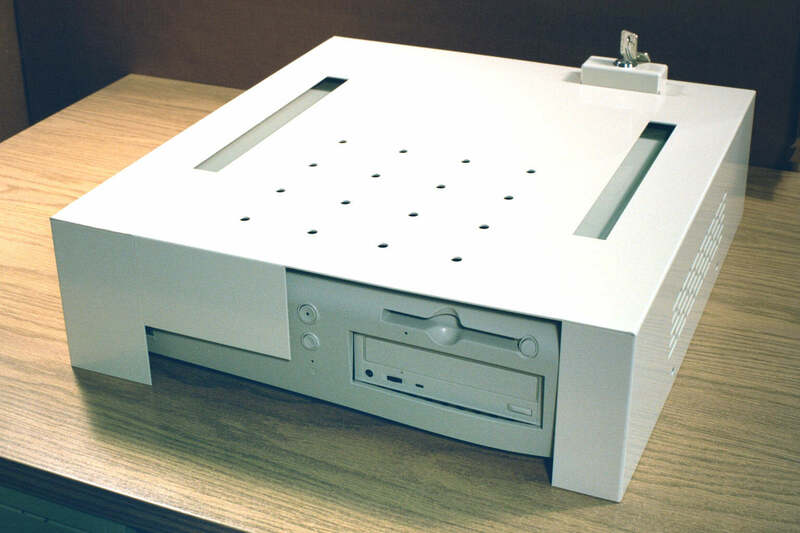 The case appearance is satisfactory, looking similar to the computer itself. CaseLok is made to order from small lots and up.